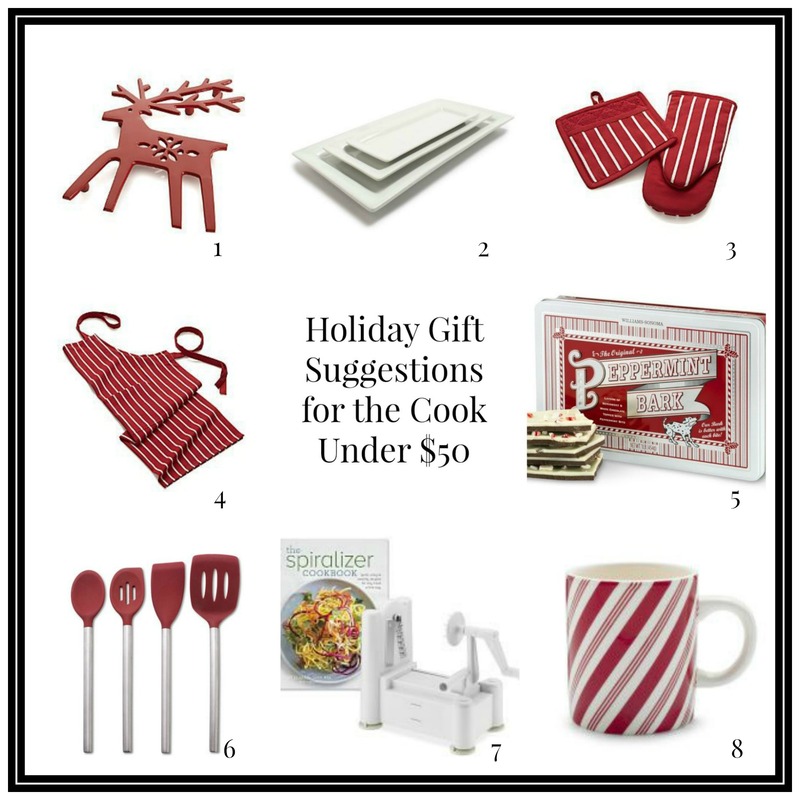 With Christmas just weeks away, here are a few gift suggestions under $50 for the cook in your life. I recommended things that anybody would love to have, especially around the holidays. The peppermint bark from Williams-Sonoma is absolutely delicious! The silicone tools can withstand temperatures up to 600 degrees! The Spiralizer is a kitchen tool that you can shape vegetables into noodles and make fabulous healthy meals! The other items make entertaining more festive!